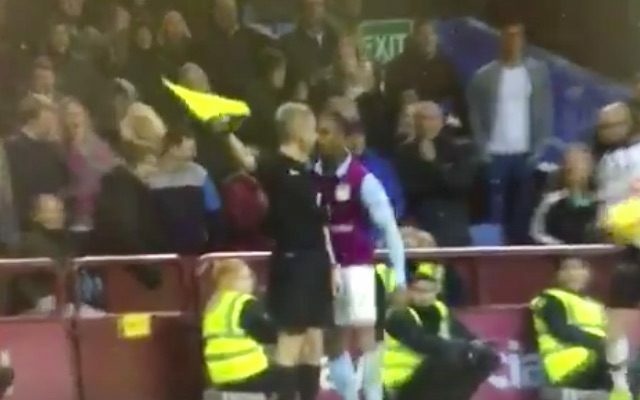 Leandro Bacuna is surely going to get a whopper of a suspension after he was sent off for throwing a headbutt towards a linesman during Aston Villa’s 1-0 win over Derby County on Saturday. The 25-year-old badboy didn’t seem to make much contact, if any, with the referee’s assistant, but he can have no complaints about being shown a red card. Speaking to The Sun after the game, Villa boss Steve Bruce admitted that Bacuna is hard to manage and that he has problems with discipline. Bruce said: “He’d been excellent in the match, then he’s done something stupid, but that’s Leo unfortunately. “That’s the disappointing thing for me. Bruce seemed to partly blame the linesman for getting a call incorrect, before continuing to discuss Bacuna, who he says will be getting fined by the club. He added: “I have to say the assistant has got the decision horribly wrong, he was only five yards away and it was a huge frustration but he knows he’s over stepped the mark. “And the disappointing things is he misses the next three games – which is sad. “There’ll be a big hefty fine from me and he’ll be one miserable mother… for the next couple of weeks.